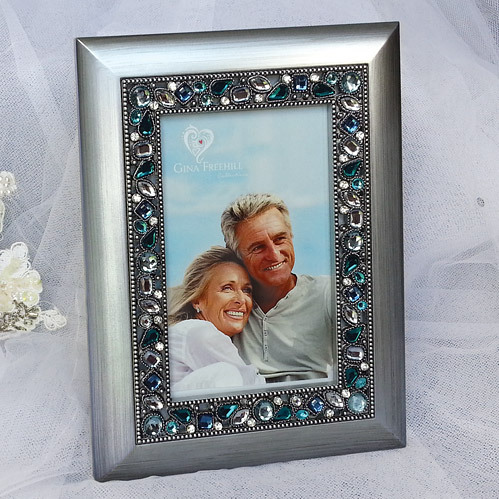 Silver Frame with Jeweled border, holds 4" x 6" photo. 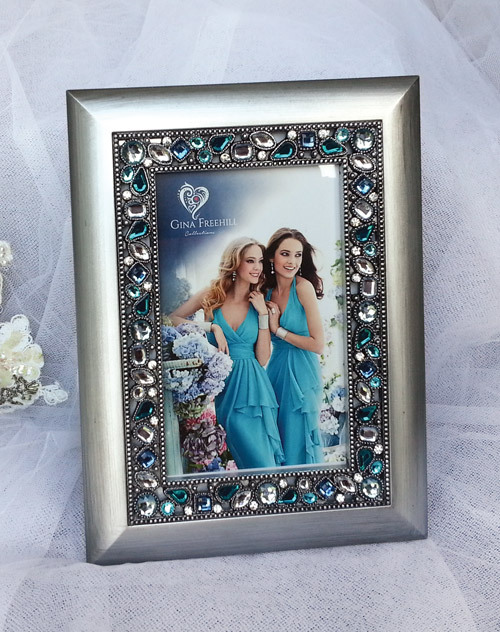 Dazzling Jeweled-border 4x6 Photo Frame for all occasions. It's perfect for wedding, anniversary or photos from any special occasion.